As I began prep work for the tall clock, I knew I had to have a plan with which to work and I knew I needed veneer for the base front panel and the door. I looked to my normal online sites for veneer, but was not happy with my findings. 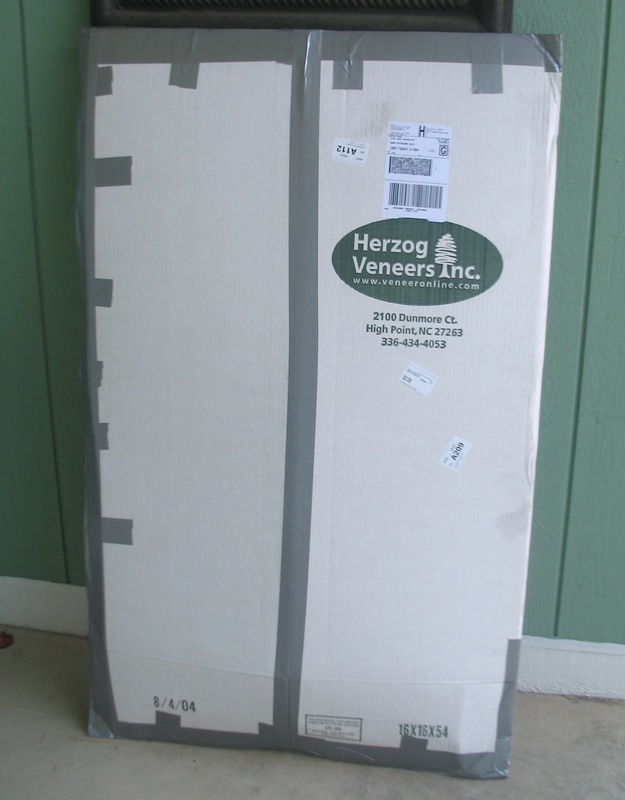 When I turned to Google for help, up popped Herzog Veneers Inc. (veneeronline.com). Once at the site, I stayed because I liked the many mahogany crotch bundles available, I liked that I could see the individual leaves of each bundle as well as each leaf size and square footage and I liked the fact that there were prices, at least on some of the bundles. I chose my bundle and worked through the online ordering system where I hit a snag that halted my purchase. I picked up my phone and called the company. The General Manager of the company, Sam Parisette-Herzog, answered my call. He explained that they were updating the store and gladly completed my order himself. During our conversation he asked about my plans for the veneer and how I worked with veneer. He suggested that I have the veneer pressed onto a backer to make each leaf two-ply. He explained that storing and working with two-ply would be much easier, and I knew that I would not have to treat or flatten the pieces in my shop prior to pressing. I took his advice. My veneer cost $5 per square foot. I know that was expensive for veneer, but I can tell you it’s the best decision I’ve made. My veneer arrived in a few weeks. Inside the cardboard bundle was bubble wrap and the stack was encased in black plastic. The leaves were stacked face to face in matching pairs with each pair labeled. (I had the leaves pressed for book match instead of a slip match – I envisioned large veneer doors with the extra leaves I ordered.) The plain mahogany backer was laid cross-grain of the veneer for additional stability. 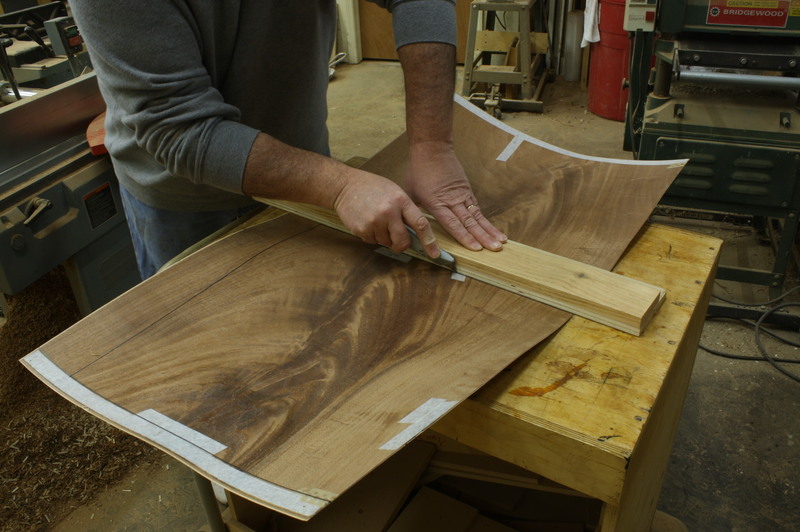 The two–ply pieces of veneer are easily cut with a sharp knife. I’ve laid four pieces of the two-ply veneer so far and each press was a complete success. All I do is apply glue – yellow glue of whatever kind is on sale at my woodworking store when I need to replenish my inventory – to both the two-ply back and my substrate, slip a properly sized piece of melamine over the top and add clamps. (This is where I tell you to have plenty of clamps at the ready.) 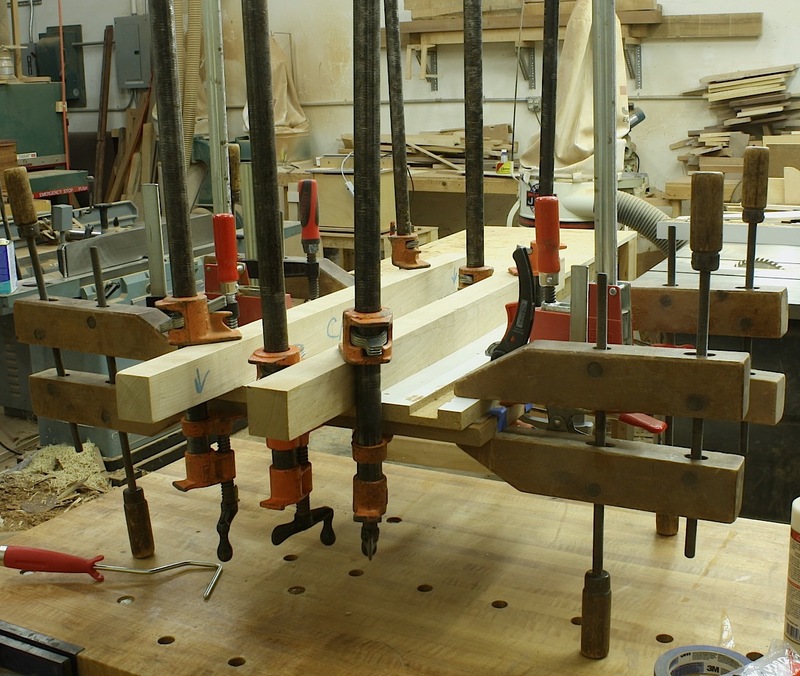 I also used a couple cauls to get pressure in the middle of my glue-up. 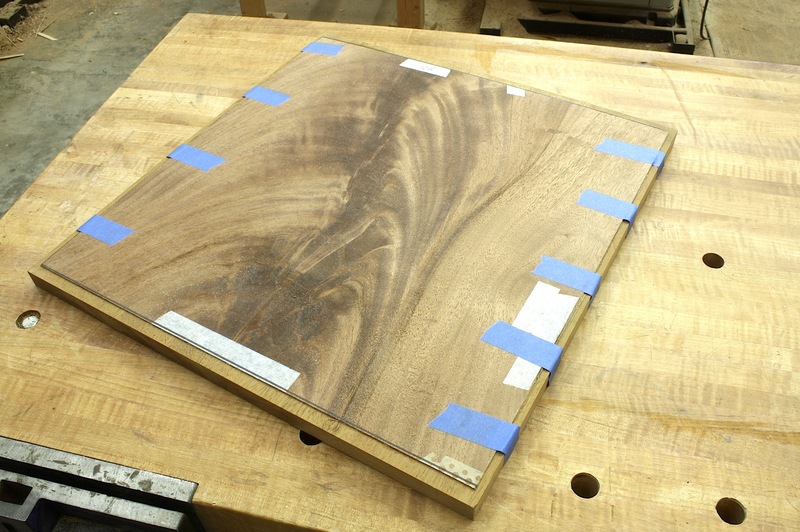 The opening photo shows one of the panels after it came out of the clamps. Not a blemish or bubble found, and no bleed through of glue. I plan to order veneer with a backer from now on. It makes a huge difference in workability and stores so easily. Note: I returned to veneeronline.com last week only to find that while the bundles are shown and tally sheets are available, there were no prices listed. I contacted Parisette-Herzog and was told that this is due to the website transition. Once the change is complete by mid-March, prices will be listed online.